When I was in college, I spent much of my time studying abroad. By taking several credit hours during the summer, I was able to spend a total of three semesters living in different countries. Unlike going on vacation, studying abroad enabled me to see how people from vastly different countries really lived. It was so refreshing to see how many cultures are not so driven by a complete reliance on consumerism, who can live on next to nothing but still be happy and fulfilled by interpersonal relationships. Lentils are really and truly a magical food. Popular India, where I lived for a semester, lentils are a huge part of the Indian, vegetarian-heavy cuisine. The best thing about lentils is that they contain a large portion of protein (they are the third most protein-rich legume after hemp and soybeans). In an emergency situation, where meat would likely be scarce, lentils thus provide much needed protein. They’re a great source of fiber, essentially amino acids, vitamin B1, iron, and antioxidants. Health Magazine even listed lentils as one of the world’s healthiest foods. I know—the name itself sounds sort of gross. But in Russia, where I lived six months, buckwheat groats, which, in my opinion, are a tastier, earthier, and less runny version of American grits, are a huge staple in their diet, especially in traditional cuisine. Since buckwheat can grow virtually anywhere in any kind of climate, buckwheat groats are dirt cheap and can be found in any grocery store or grown in your own garden. They’re a decent source of protein, and are high in fiber, flavonoids like rutin, copper, magnesium, iron, and more. Consumption of buckwheat groats has been shown to reduce the risk of many diseases like heart disease, diabetes, gallstones, and more. For more info about the health benefits of buckwheat, check out this article. Beans, beans, they’re good for your heart. And you know what else. But there’s more to beans than just that. 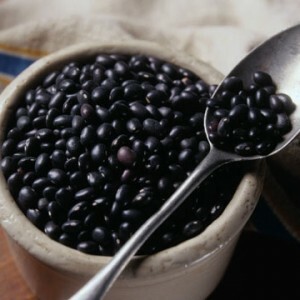 Black beans, which I had my fair share of in Mexico, but are popular in almost all Latin American cultures, are an incredibly hearty source of protein, folate, fiber, and more. What I love about black beans is their simplicity. Boil or bake a pot of black beans, add salt and pepper, and you’ve got yourself a tasty, incredibly cheap meal. Once I returned from my adventures abroad to finish up my senior year in college, I was—as most college students are—pretty darn well near broke. Instead of going with typical cheap college options lacking in any nutrition, like Ramen Noodles, I went for these simple, wholesome options that sustained me abroad. Add them to your present diet and emergency food supply and reap the benefits of easy-to-prepare, incredibly cheap and healthy meals. Good luck! This guest post is contributed by Nadia Jones, a freelance education blogger who frequently shares her expertise in distance education and accredited online college courses. She encourages your feedback at nadia.jones5 (at) gamail.com.